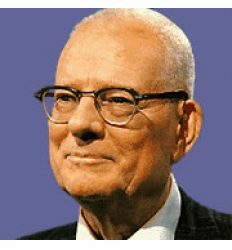 Deming was credited by the Japanese as being a major force in their rise to world economic power in the second half of the 20th Century, so Steve’s view that this is a 21st Century idea is a little late, although perhaps a reasonable observation about many western businesses. In Deming’s case, the policy of delighting customers leads to them spreading the word and returning to purchase more from your business, which sustains it. In my case, it is ensuring learners remain lifelong learners, whatever their attainment at any stage. Mostly, it is those who attain highest who are delighted in learning, which is not to imply cause and effect, simply to observe these can go hand in hand. But this minority success does not sustain and develop the global community nearly so well as having everyone continuing to learn throughout their lives, because they delight in learning, no matter what their early attainment level may be. And that is without even starting on the moral case for delight….